I picked up this pair of brass spurs from a friend of mine who has had them for 50 years. The gentleman he got them from, dug them somewhere in northern Virginia he said. Was a long time ago, and not for sure of the exact location. 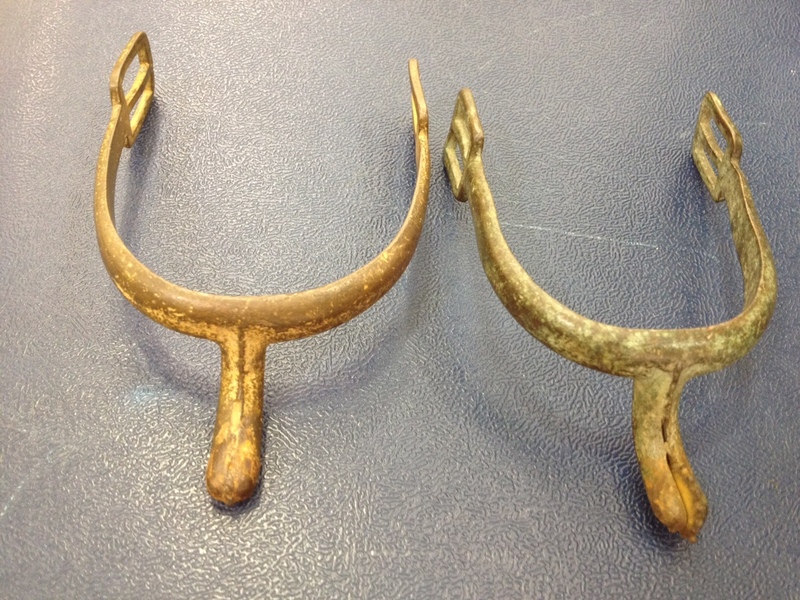 These would have belonged to an enlisted U.S. Calvary soldier.